Toddler Approved! : Happy September from the Toddler Approved Family! Happy September from the Toddler Approved Family! I want to wholeheartedly welcome you to our Toddler Approved community. If you've been here for years, you're awesome. 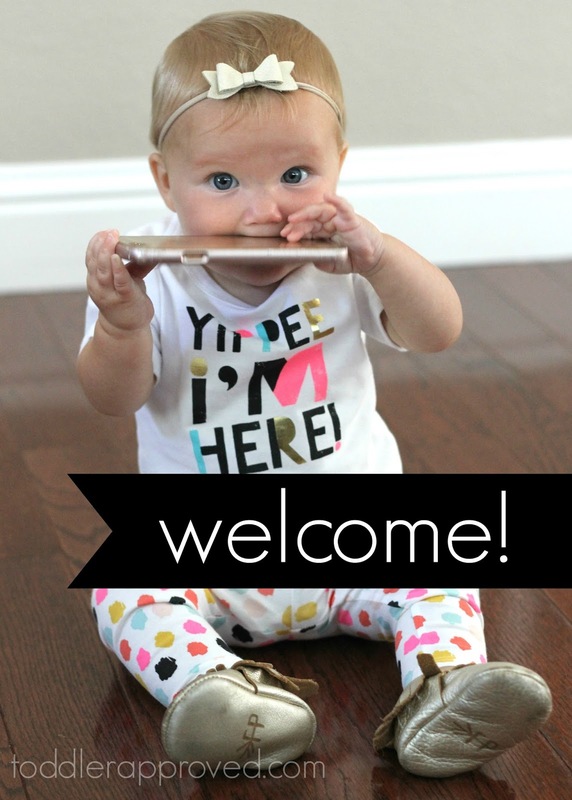 If you're new, we're so glad to "meet" you. We hope you stick around. Since this blog business is a family run business, with my four crazy kids as my helpers and my husband as my biggest cheerleader, I've decided that I want to make things a little bit more personal this year and write a monthly message to you guys. This way you might get to know us a bit better and we can get to know you too. I post over on Instagram a lot as well if you want to follow along and chat more. September is one of my favorite months. As an elementary school teacher I always loved the chance to wipe the slate clean and start the year with a fresh new group of students. Desks were moved around, bulletin boards were repapered, cupboards were organized, and I could set new goals and try a little harder to be a little nicer and a little more organized. As a mom I also like to treat September as my time for a reset. Last year I felt like I was living constantly in crisis mode. With a newborn and three other needy little people there was never enough time to get everything done and I definitely wasn't the kindest mom. 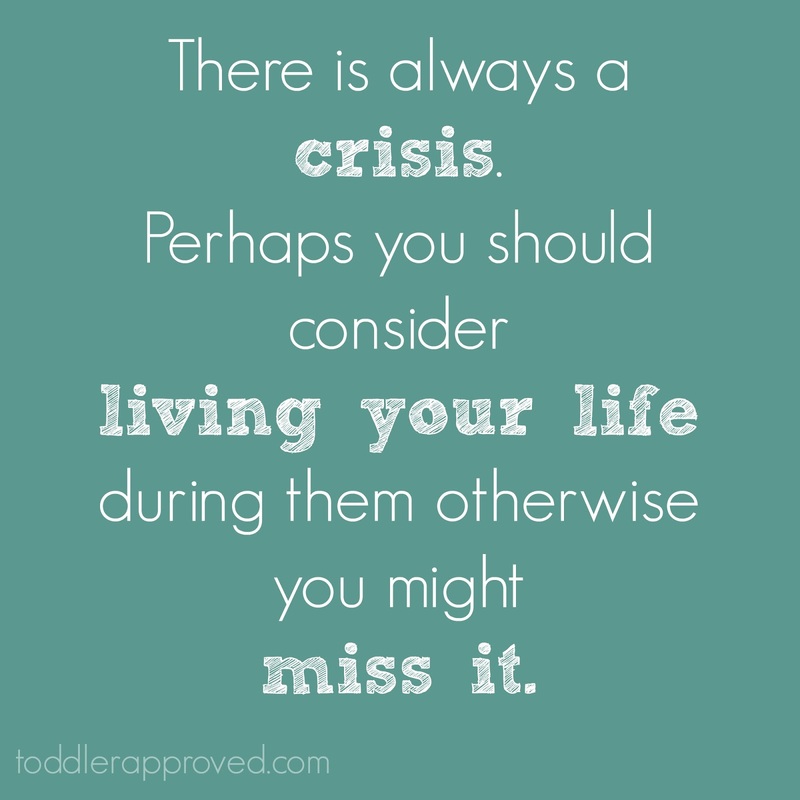 "There is always a crisis. Perhaps you should consider living your life during them otherwise you might miss it." It made me realize that I HAVE FOUR KIDS (duh!). I need to EMBRACE THE CHAOS and live happier and change my expectations a little bit. You know the quote, "The definition of insanity is doing the same thing over and over and expecting different results?" Well I'm determined not to drive myself insane by having the same expectations for myself (or my kids) this year that I had for myself (and them) last year when I had three kids. I'm going to give myself a break and embrace the chaos, enjoy more fun with my kids, and simplify. This month my goal is to SIMPLIFY MY HOME LIFE. Simple meals, simple cleaning habits, and simple connecting activities as a family will be my primary focus. I'm still deciding what this will look like, but my first step is to "de-own" a few of the belongings that are cluttering our house. My second step is finding time every day to connect with each of my kids individually. That has been missing lately and I need to get working on it... even if it is just for 5 minutes. We'll see how it goes. Pop on over to Instagram to keep tabs on how we'll be simplifying our home life during September or follow along here on the blog. I'll try and report back next month. I'd love for you to do that same. Also, if you're new to Toddler Approved, take a second and introduce yourself in the comments. I'm Kristina, the founder of Toddler Approved. I live with my family in Northern California. My husband Kevin and I have four kids (ages 8, 5, 3, 7 months). My kids are full of energy and love to keep me on my toes. My littlest one is in the throes of teething and is crawling and pulling up on everything. We are constantly trying to help her avoid head injuries. These are my favorite crazy people pictured below. I'd love to hear your goals for September as well! Living intentionally and setting goals really helps me keep the most important things in perspective. Hope you have a fabulous September!!! I love this idea, and I'm totally with you on the September reset! September 1st is my resolution day, not New Years. It must be a teacher thing! Loved this post!!! Thanks and YES! It totally must be a teacher thing. What are your September reset goals?? My name is Sara and I am the mother to 4 amazing not-so-littles. (10,12,14,16) My baby just had her double digit day last week. I am struggling with the fact that my littles are growing up. I'm not taking it well. Lol. I love the idea of starting over in September and I think I have played the insane game of falling in the same rut each year. I am going to work on the individual them each day.